These award-winning, long-lasting, medical-grade lash extension adhesives have the reputation as “the healthiest” professional eyelash extension system and as one of the few professional certified NovaLash specialists in the Cotswolds you can rest assured that you are in good hands, receiving the best possible product and service. 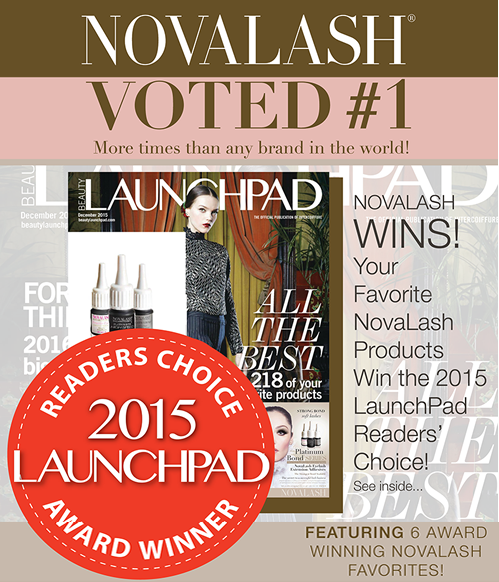 Within the first 12 hours of your NovaLash application do not expose your eyelash extensions to water or cleansers. For the first 12-24 hours do not swim, shower, use hot tubs, or steam rooms and avoid contact between moisturizers, eye creams, or makeup removers. Any cosmetic product or cleanser containing glycols, organic solvents, alcohol, or urea should be avoided. Products such as these can potentially break down the adhesive bond and shorten the duration of time the extensions stay on. Avoid rubbing your eyes or pulling on your NovaLash eyelash extensions.Any action with repeatedly puts stress or strain on your NovaLash eyelash extensions will cause them to come off prematurely. Eyelashes are normally shed on a regular basis,thus multiple extensions may be lost on any given day. Visit your NovaLash eyelash extension technician for touch-ups every 3 to 4 weeks to maintain your fuller longer lash line! 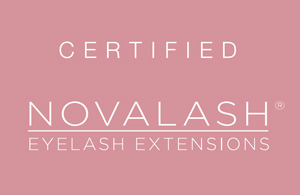 Treat your NovaLash eyelash extensions with care by accommodating their needs! NO water and steam for the first 24 hours. NO mascara unless you really want it. NO eyelash curling. NO eye rubbing. USE ONLY gentle cleansers around the eye area. If you can follow these simple recommendations your eyelash extensions can do their job longer.